How many times have you read John 10 and never seen the Pre Tribulation Rapture in there? Now you have. The whole chapter is compare and contrast of Jesus Christ with Antichrist. The good shepherd versus the idol shepard. The Pretribulation Rapture is also found in John 14. Revelation 4:1 starts with "after this" and ends with "which must be hereafter". Clearly the time of Jacob’s trouble is after the end of the Church Age. When you learn how to rightly divide the Bible as Paul commands us to do, one thing among many becomes crystal-clear really fast. That the Rapture of the Church must take place before the start of the time of Jacob’s trouble. All you non-dividers are right now copying and pasting “..after the tribulation of those days” to blast out the comments section, but it is to no avail. The Bible will not allow any other scenario for the Church in the end times but a pretribulation rapture. Hours after a mysterious “earthquake” — 2. 6 on the Richter scale — registered on the devices of the European Mediterranean Seismological Center, the circumstances behind the series of explosions that shook Syriaovernight Sunday-Monday are starting to become clear. The base that was attacked in the Hama area belongs to the 47th Brigade of President Bashar Assad’s Syrian Army, but apparently there were many Shiites and/or Iranians in the area. The Syrian Human Rights Observatory (based in London) reported that 26 people were killed in this attack, Iranians among them. Another report spoke of 38 fatalities. Whatever the case, it is clear that the strike was highly unusual in several respects. The high-level security cabinet will convene for an emergency meeting on Monday afternoon, hours after missile strikes in Syria reportedly killed some 18 Iranian troops. 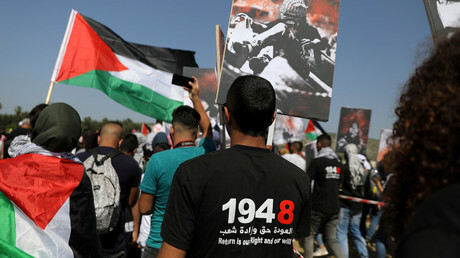 Ministers were told to arrive at the Kirya military base, which is also home to the Defense Ministry, in Tel Aviv at 1:30 p.m. The impromptu meeting was to focus on the rising tension on Israel’s northern borders. Intelligence Minister Israel Katz told Army Radio on Monday morning that he was “not aware” of the latest strikes. But, he said, “all the violence and instability in Syria is the result of Iran’s attempts to establish a military presence there. Israel will not allow the opening of a northern front in Syria. Jerry Rassamni grew up as a Muslim in the war-torn world of Lebanon and learned at a young age to hate Christians. Jerry became a militia fighter at a young age fighting against Christians. Later, he had the opportunity to come to America where he met and fell in love with a Christian who introduced Jerry to the love of Jesus Christ. He is the author of “From Jihad to Jesus” and loves to speak to anyone who will listen about the truth of God’s Word. 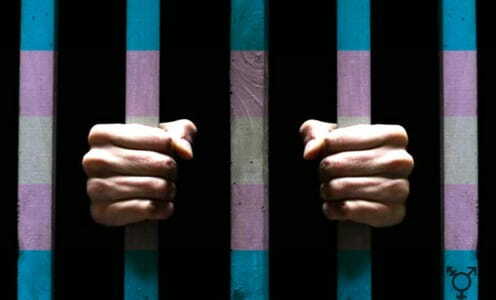 San Francisco was the first city to require its jails to allow inmates to select the gender of their housing unit when it did so in 2015, and now Mayor Bill de Blasio is making New York City the second such city, as moral insanity has run amok. If making people feel loved is more important than telling them the truth, where does this end? “healthy model of masculinity.” The program is predicated on a critique of so-called “restrictive masculinity.” Men, the program argues, suffer when they are told to “act like a man” or when they are encouraged to fulfill traditional gender roles, such as being “successful” or “the breadwinner. the house of Israel from the land of the North and from all the lands to which I dispersed them and brought them that they would dwell on their land” (Jer. 23:7-8). This is a huge statement. We are experiencing something greater than what the people experienced who left Egypt with Moses. This is a miracle of biblical proportions. Church unity is more important than “theological correctness,” according to North Point Community Church Senior Pastor Andy Stanley at a conference with approximately 8,000 attendees. 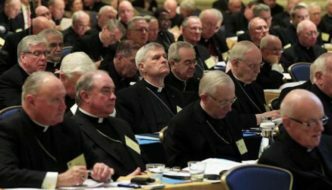 At the Orange Conference, which focuses on issues of church leadership, Stanley spoke on Thursday about the importance of Christians of different denominations being “one” in their mission. Stanley centered on John 17, in which Jesus prayed that His followers “may be one as we are one — I in them and you in me — so that they may be brought to complete unity. 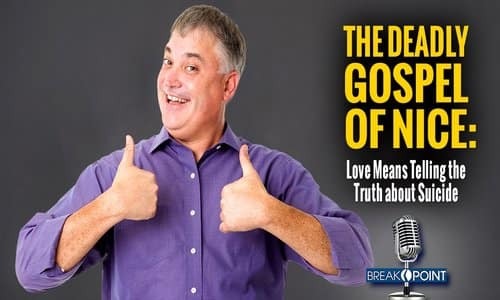 Then the world will know that you sent me and have loved them even as you have loved me.” The influential author and speaker said that he found it significant that Jesus prayed for the disciples to be one, rather than for other things, including good health and being theologically accurate. dangerous escalation, threats to Israel and the region, and Iran’s position to dominate the Middle East remains,” he said. “The United States is with Israel in this fight and we strongly support Israel’s sovereign right to defend itself,” he said. In a joint statement with Israeli Prime Minister Benjamin Netanyahu following their meeting late Sunday afternoon, Pompeo said the words Israel wanted to hear about the Iranian nuclear deal. An estimated 750-900 people flocked to a San Francisco cathedral’s “Beyoncé Mass” on Wednesday night, an event that blended renditions of the secular pop star’s music with the reading of Scripture, communion, and the presentation of a related message by a seminary professor. While the event was popular with the locals, others state that the world’s music has no place being performed in what is supposed to be the holy house of God. An Israeli airplane in Syria has dropped the first nuclear bomb deployed in armed conflict since the US dropped atomic bombs on Hiroshima and Nagasaki in 1945, according to local reports. The nuclear blast targeted an ammunitions depot in Hama, Syria and was so powerful it caused a 2.6 magnitude earthquake recorded close to Taqsees, Hama, Syria at 10:40 pm local time Sunday, at the same time Syrian TV reported several explosions in the same area. Moments later, videos of a massive set of explosions, reportedly at a Syrian military base at Jabal al-Bukhut 47, some 10 miles south-east of Hama, began to appear on social media. An accurate assessment of the damage caused has so far been impossible due to a huge cloud of impenetrable dust covering the target. Hama is one of the chief Iranian supply depots for the Syrian army in their eight-year battle against insurgent jihadi groups attempting to ouster President Bashar al-Assad and seize control of Syria. An international symposium was held in March 2018 at the University of Tokyo, attended by representatives from the UK, Ireland, Japan, Colombia and Spain to discuss the needs of victims who have suffered, and in some cases died, as a result of the HPV vaccine. The symposium on “The Current Status of Worldwide Injuries from the HPV Vaccine” was held held on March 24 and allowed doctors, medical experts and victims to detail the severe side-effects and damages that have been caused by the HPV vaccine. • Conduct a protracted follow-up study, by a neutral third party, of the health status of all those who received the HPV vaccines. • Promote researches to develop effective therapies to treat the side effects of the HPV vaccines. • Provide treatment, and support HPV vaccine victims in daily activities, education, and employment. Syria has announced that military bases in the provinces of Hama & Aleppo were hit by missiles on Sunday. Pro-government sources said that three positions that targeted and all three are known to be bases of the Iranian Islamic Revolutionary Guard Corps (IRGC) and other Iranian-backed groups. While the origins of the attacks are still unclear, they come just weeks after Russia and Syria said Israeli warplanes struck an air base in the Syrian province of Homs. 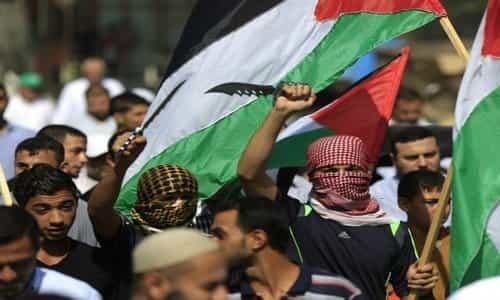 Some reports in the Israeli media have suggested that the Israeli military may have been be behind Sunday’s airstrikes. The Palestinians should either accept the peace plan they are offered at the moment or “shut up” and “stop complaining,” Saudi Crown Prince Mohammed Bin Salman reportedly told Jewish organizations in New York. 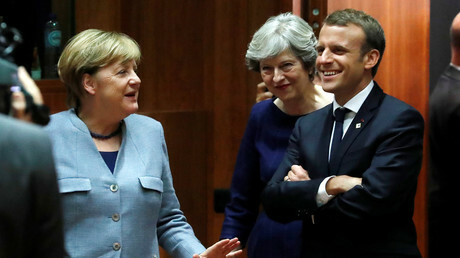 The leaders of the UK, France and Germany have agreed to defend the Iran nuclear deal while they work out a way to wring more concessions out of Tehran. The 2015 deal is “the best way” to keep Iran from nuclear weapons, they said. Turkey Calls on Europe to Criminalize "Islamophobia"
Given Turkey’s inhospitable treatment of non-Muslims throughout the ages, it is the height of hypocrisy for its foreign minister to complain about Europe’s attitude towards Muslims, which has been the opposite of Islamophobic. To refresh Çavuşoğlu’s memory, a review of Turkey’s record is in order. By proposing to block all criticism of Islam on the grounds that it is "extremist, anti-immigrant, xenophobic and Islamophobic," Çavuşoğlu is revealing that he would welcome banning free speech to protect a religious ideology. Update 2: Multiple early unconfirmed reports from journalists inside Syria have put casualties at 40 killed and 60 wounded, mainly from the Zaynabiyoun Iranian-backed group which was located at the 47th brigade supply base targeted in Hama. In Aleppo 7 rockets were reported to have exploded in apparently empty areas around Aleppo international airport. There are no reports of injuries or deaths in Aleppo, but images show an area was clearly hit. As we mentioned previously, the strikes produced a small earthquake as monitors in Lebanon and Turkey recorded seismic activity that registered over 2 on the Richter scale. Neither Israel nor the United States has yet to formally acknowledge the sizable missile attack, and there’s some speculation in early Western media reporting that it could have been a U.S. coalition action, as it came the same day that pro-Syrian government militias clashed with US-backed Syrian Democratic Forces (SDF) near the eastern city of Deir Ezzor. Notably, Israeli Prime Minister Benjamin Netanyahu said earlier this month his country will continue “to move against Iran in Syria,” and last Thursday Defense Minister Avigdor Lieberman vowed to strike at any attempt by Iran to establish a “military foothold” in Syria.